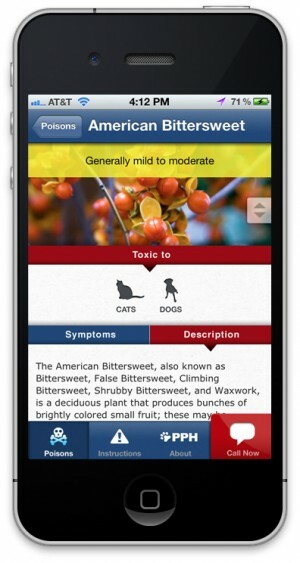 The iPhone application’s comprehensive database includes more than 250 toxins, each with a description, list of symptoms and a full color photo, which is very helpful for identifying poisonous plants and flowers. The photos can be expanded to full screen size for easy identification with just the tap of a button. Each toxin entry has a bright yellow banner across the top that indicates the potential severity of the toxin, from “mild to moderate,” to “moderate to severe.” When in the midst of a potential emergency, users can dial Pet Poison Helpline directly from the application on their phone. Called Pet Poison Help, the iPhone app costs $0.99 and is available on iTunes. More information is available here. Pet Poison Helpline has also mobile-enabled their newly redesigned website, which is a comprehensive resource for pet owners and veterinarians. This means that when accessed via a smartphone, the information on www.petpoisonhelpline.com is optimized for mobile environments, presenting concise information on easy-to-navigate screens. 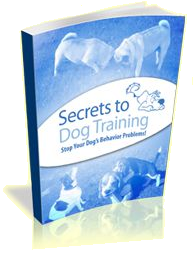 The layout is simple and fonts are large for easy reading. It’s an invaluable resource on a smartphone anytime, but when potential emergencies arise, pet owners and veterinarians can access vital information within moments. The mobile-enabled version of the website displays concise emergency instructions for dealing with poisoned pets, as well a list of poisons, a direct dial feature to Pet Poison Helpline, and links to additional information for pet owners and veterinarians. If you have a smart phone, be sure to add Pet Poison Helpline’s mobile app to your home screen for pet safety tips and information at your fingertips. 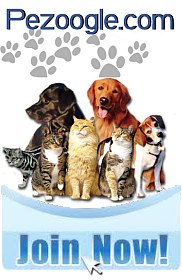 The veterinarians at Pet Poison Helpline suggest bookmarking www.petpoisonhelpline.com on your smartphone, and if you are an iPhone user, purchasing the iPhone application for a more comprehensive user experience. As always, if you think your pet may have ingested something harmful, take action immediately. Contact your veterinarian or Pet Poison Helpline at 1-800-213-6680. Pet Poison Helpline is the most cost-effective animal poison control center in North America charging only $39 per call; this includes unlimited follow-up consultations. Pet Poison Helpline just released a native app, or a mobile friendly version of its website. This is exactly what I was looking for. Thanks for the information on animals. Nice work with the post on puppies. Great read. Great work on dogs. I liked the middle part – it answered a lot of the questions I've had on the subject. Fantastic read! I loved reading about animals. Great! I liked the writing on parakeets. Good article about turtles. It really made me think about how it all works. Thanks for the article. Great post about pets. The post on parakeets was of a high quality. It was clear and easy to read. Good post about fish. I couldn't ask for a better, more comprehensive post. The article on dogs was very good.